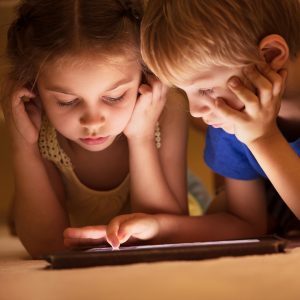 If your kid has a smart device or has friends with smart devices, chances are they have been on YouTube to view videos. So for that reason, we need to talk about it. YouTube has minimal restrictions on what a viewer can watch. The only setting one can put in place is to turn “Restricted Mode” on. Turning this on restricts explicit material, but nothing is 100% safe. Viewers can still see inappropriate things with this mode turned on. Even though there is a viewing history, it’s easy to clear your history. People can comment on videos, leaving crude messages and inappropriate links. 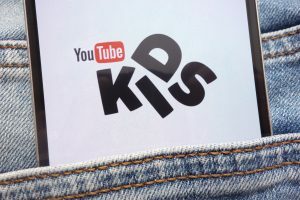 There is a kid-friendly version of YouTube called YouTube Kids. This is more for younger kids, but there is more control for parents to have in regards to what their kid can view. Remember, not everything is 100% safe. In YouTube, turn “Restricted Mode” on. In YouTube Kids, under content turn the “Search” button to off. This makes it to where your kid can’t search videos and limits their viewing to more of what you have set in place for them to watch. Also, you can put time limits on how long they are on this platform. Random Phone Checks: from time to time, check their phones unannounced. Check to make sure the “Restricted Mode” is switched to on. Check their viewing history (if it’s empty, that’s a potential sign of them viewing things they shouldn’t. You need to be their main monitoring device: again, nothing is 100% safe proof, but your presence goes a long way. Have conversations with your kid on a regular basis on things to watch out for, what to do if they see something inappropriate, consequences to misbehavior, etc. When you choose to be involved in their digital life, they are less likely (at least a little less) to do dumb things. The more informed you are on what your kids are doing, the safer they’ll be. If they have an account, know their username and password. If they choose to upload videos, check them out and make sure they are appropriate. Since YouTube can be in the form of a website or an app, be sure to check both platforms to keep your kids safe and smart. There you have it, all things YouTube. Unfortunately, there is not a lot of protection parents can set in place. Parents have to keep an eye on kids usage and have continuing conversations with about their viewing.